ALLEGRA BOVERMAN/Staff photo. Gloucester Daily Times. 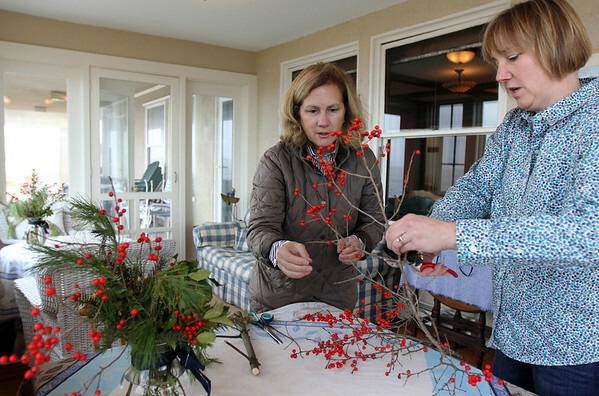 Rockport: Sue Andersen, left, and Tamsen Endicott cut winterberries to add to centerpieces for the sunporch of The Captain's House Inn in preparation or the Seashells and Jingle Bells Inn and Home Kitchen Tour of Rockport which will be held on December 10th from 1- 6 p.m.